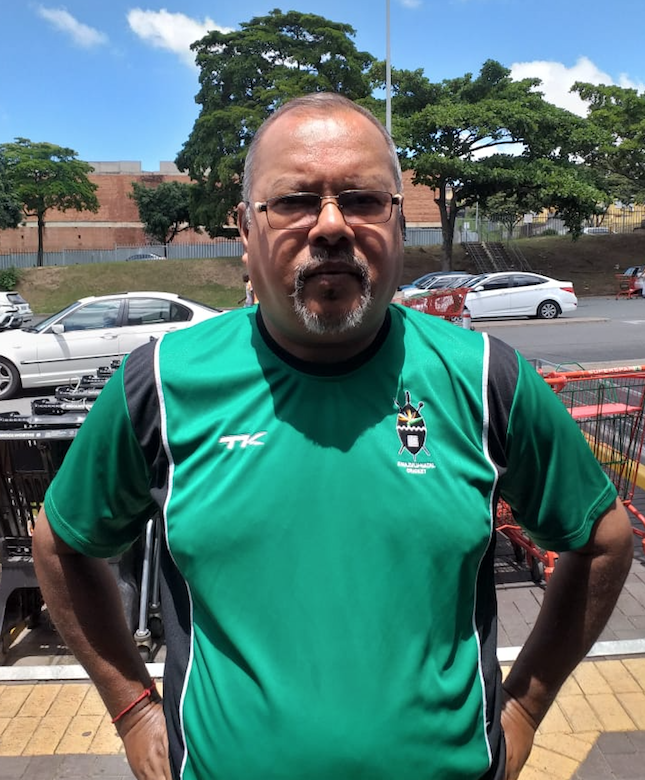 Elvis Govender is a dedicated member of the local cricketing fraternity and has been involved in the game as an administrator, coach and player for more than 45-years. Govender is from a sporting family. He eats sleeps and breathes cricket. He devotes a large amount of his time towards nurturing talent from within Chatsworth as well as Kwa-Zulu Natal. Elvis Govender took some time off his busy schedule to chat to Tabloid Newspapers about his love, family and passion for the game. Tabloid Newspapers (TN): Tell us about your upbringing? Elvis Govender (EG): I was born in 1960 and come from a family which consists of four brothers and one sister. We previously lived in Bluff but were relocated to Chatsworth when I was one-year-old due to the Group Areas Act. I have lived in Chatsworth for 58-years. My father was a soccer player and my three brothers. I played both cricket and soccer. We played cricket competitively and at one stage my brothers Krish, Raymond and Stanley and I all played for the Natal A side at the same time. We played in Cape Town. I played professional soccer for Berea Football Club for two years. TN: How did your love-affair with the game of cricket start? EG: We lived in the area now known as Liberty Road and the cricket ground was our back-yard. We used to sit and watch cricket games. Eventually my eldest brother got involved in cricket. We used to travel with him and watch games. Eventually we all got sucked in. We all worked hard at our game. During aparthed, we played cricket under the South African Council of Sport. We used to watch some cricket and practice on our own, but we were not allowed to go to grounds such as Kingsmead and watch games. We played what is now known as mini-cricket around 1965 and the 70’s. We even used to play test match cricket where all the boys from the area would play until lunch time, go home, have lunch, come back after an hour and resume the game. We fell in love with the game from a young age, worked hard and reaped the rewards. Cricket is my life. My wife used to get fed up with me. If I am not playing cricket, I would watch it on TV or read books. My biggest supporters have been my wife Rookmoney and my late in-laws. Up to today, if I go on a tour, she packs my bags. TN: What were the highlights of your cricket playing days? EG: The main highlight has to be playing with my three brothers for the Natal A side at the Green Point Stadium in Cape Town. Another highlight was captaining the Natal A side when I was 20-years-old. I opened the batting and bowling for Natal A. When my brother Stanley was 16-years-old, he was rated as one of the best young batsmen in the country and was offered the chance to go to England to play professional cricket and football which he turned down. Back in the day, we had to work and we often had to miss games because it was hard to get leave. I played my last Premier League game when I was 46-years-old and subsequently retired. I also played for SACOS which was the highest colours that one could get at that time in 1982. TN: Can you describe your current role with Chatsworth United? EG: I am currently the coach of the Chatsworth United first-team. I started playing for Chatsworth United when I was 12-years-old. I graduated to playing for the Premier League team. From there, I graduated to captain of the first-team, coach of the first-team and to vice-president of the club. When West Indian coach Eldine Bapiste finished his stint with KZN cricket, he took over from me. I have been back for about two-years now. I am at the Chatsworth Oval on a Monday and on a Friday. During the other days, I am in Reservoir Hills. On a Sunday, I am all over. TN: Briefly, tell us about the history of the Chatsworth United Cricket Club? EG: The club was formed during the 60’s. It was formed in the house of Shan Naidoo. He is the father of peace activist Kumi Naidoo and Kovin Naidoo. They were toddlers when the club was formed. I would say that Chatsworth United are the pioneers of local cricket. We have a big following. Our former players who went onto other provinces are still in contact with the club and remain on the database. Our club president Mike Govender works extremely hard to keep the club afloat. TN: Can you give an update on the current status of the club? EG: It takes a lot of funding for a club to sustain itself. We used to play in the Premier League. Due to various reasons, the club got relegated from the Premier League and into the Challenge League which is now called the Promotion League. The vision of the club is to get back into the Premier League. We are concentrating on the junior structures. We currently are one of the biggest clubs in KZN as far as number of teams. We are trying to re-energize the club. We are mainly made up of cricketers from Chatsworth with some from Malvern. We aim to incorporate cricketers from all backgrounds into our club. TN: Please describe your role within the KZN Cricket? It is a six day a week job and club cricket is on Sunday. I am currently employed by Cricket South Africa through KZN. TN: What were the major challenges which you faced as a talented player of colour during apartheid? EG: We grew up in a poor family. One of our major challenges was kits. We could not buy kits, so we used to borrow it. Secondly, transport was difficult. When my eldest brother Krish started to work, he used to transport us around.